It is essential that you allign yourself with a Realtor with expert market knowledge. 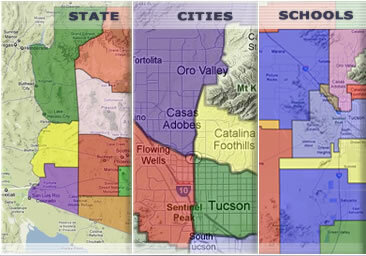 Over the past 30 years MyOwnArizona™ has answered thousands of questions about all things real estate. Use our convenient online form to find an expert who can help you with just about any real estate problem you have. Whether you seek advice from a real estate lawyer, a mortgage broker, a local Realtor, or anything else, we can help. Let's get real about Southern Arizona Real Estate: buying and selling Tucson real estate can be tricky to say the least and unless you're a real estate agent with extensive experience in the Arizona market, you don't keep up with the ins and outs of real estate law. You want to make the smart decisions, but need reliable information fast. Take advantage of our no obligation "Ask the Experts" service. Just include any questions you have regarding buying or selling real estate below and the form will be sent immediately to the person on our team best qualified to answer your specific question. Go ahead ask us anything about home values, mortgage information, you name it. We'll give you the straightforward answers you need. Be sure to include your name, email address, and any other information that can better help us serve you. Remember "Ask the Expert" is free and confidential. Just fill out the form below and click the SEND button at the bottom of the form to expedite response time.